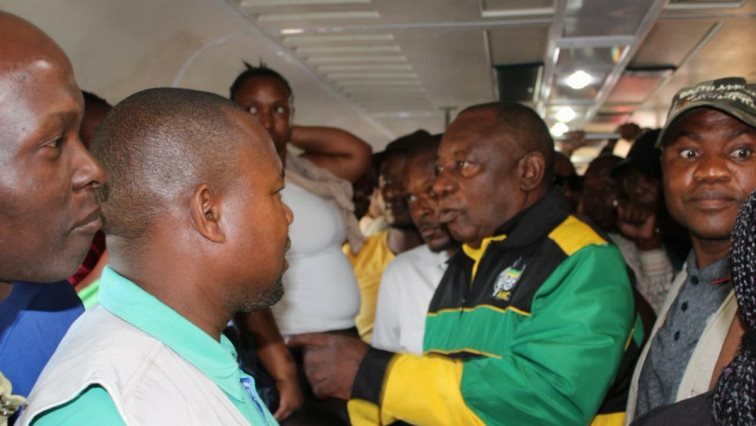 ANC has 60% of electorate support, Ipsos poll suggests - SABC News - Breaking news, special reports, world, business, sport coverage of all South African current events. Africa's news leader. Currently, just more than six in every ten registered voters (61%) will put their mark next to the ANC’s name in a national election. A recent poll on elections shows the ANC has currently 61% of support of the electorate. The DA and the EFF scored 16% and 9% respectively in the survey while IFP and FF+ (both at 1%). In Ipsos’s latest survey, 6 in every 10 registered voters have indicated that they will be choosing the ANC in the national election on the 8th of May. This result is similar to the 2014 national election result where the ruling party scored 62% of the vote. The Democratic Alliance polled at 16% which is down to the 22% they achieved in 2014. But it seems there’s increased support for the EFF according to the survey where 9% of the respondents indicated they would vote for the young party. In the last elections it managed 6% of the national vote. It also notes that 11% of registered voters answered that they would not vote, would not vote for a current party, refused to answer or didn’t know which party they would vote for. A 10th of the participants answered that they would not vote or refused to answer the question. Ipsos says while their survey is not a predication, it can determine that voter turnout will be critical. The voters’ roll compiled by the IEC contains 26,774,102 names of South Africans who are registered to vote, meaning that more than 10 million South Africans of voting age have chosen not to register and therefore not to vote in this election.